One memorable clip in No Direction Home shows a 22-year-old Dylan performing ‘Man of Constant Sorrow’ during his first TV appearance, in 1963, on a show called Folk Songs and More Folk Songs. Dylan had released this song (in this arrangement) on his debut album a year earlier. This is quite a different version than fans of the Coen Brothers’ O Brother Where Art Thou? are used to (hear that one here). Both versions seem to have been around for quite some time, and the song itself is at least a hundred years old and by most accounts a lot older than that. 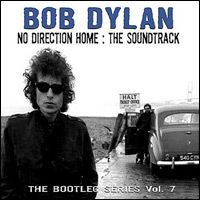 This entry was posted in dylan weekends and tagged Bob Dylan, bootleg, No Direction Home. I’m partial to the version featured in O Brother, but this is perfectly nice as well.